Exclusivity and authenticity characterize this Absinthe set. 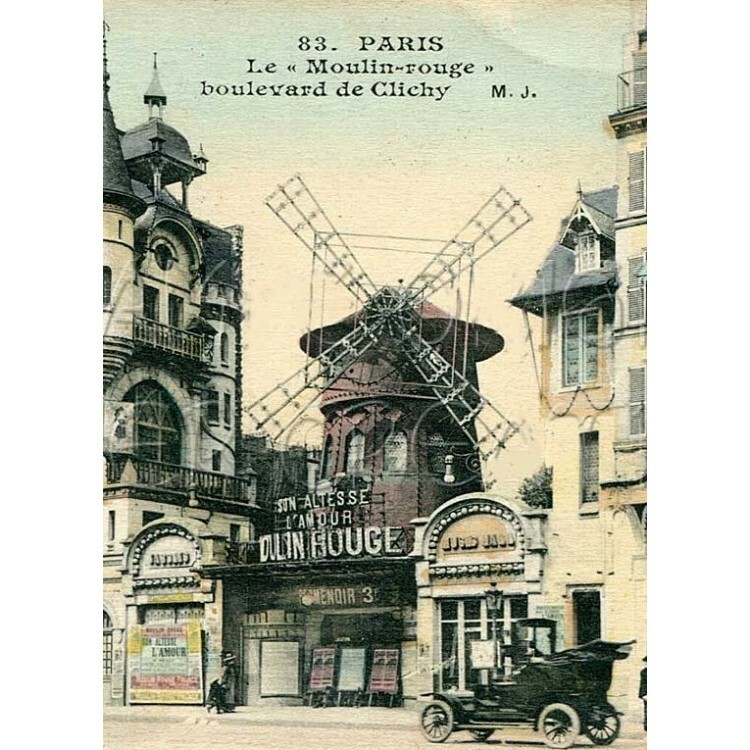 Both Absinthes are distilled in the historic Absinthe region of Fougerolles, France, according to traditional recipes with a wine alcohol base. This gives these Absinthes a soft taste with fine cognac notes. Absinthe Glasses & Spoons Set "Pontarlier Premium"
In this Absinthe set two high quality Absinthes are united. 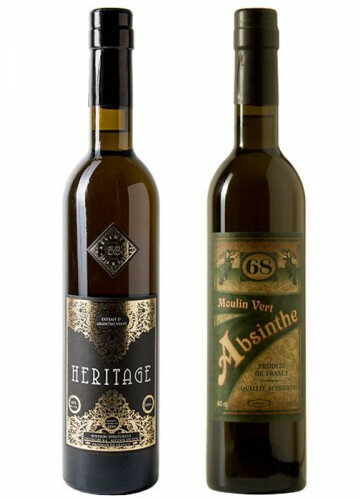 Nevertheless, each Absinthe has its own identity and convinces with a unique taste. 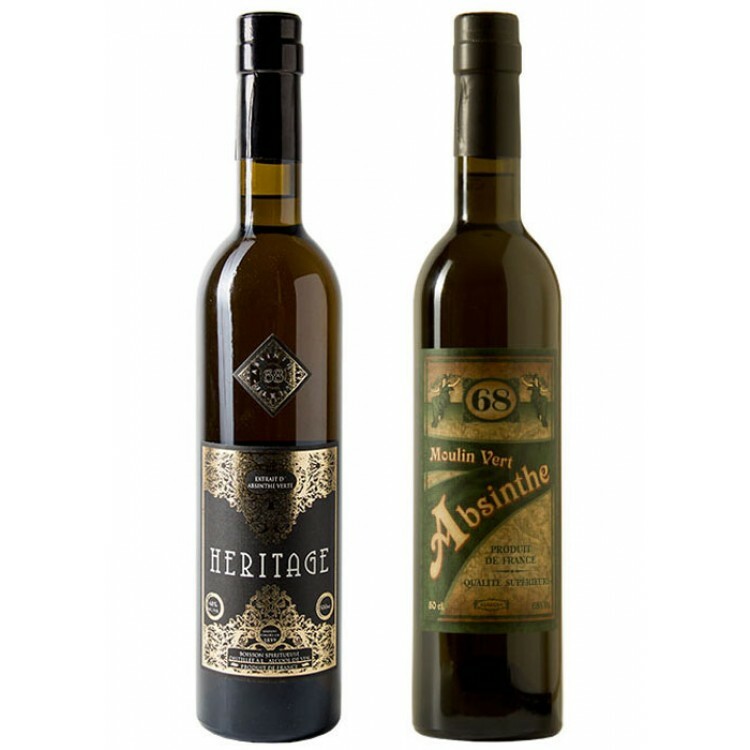 Absinthe Heritage Verte is a traditional green Absinthe from France. Its recipe is aromatic intense, which can be recognized by the wormwood scent, which spreads in the room as soon as the bottle is opened. In addition to anise and wormwood, Heritage Verte uses a good portion of fennel, which gives it a particularly fresh aroma. 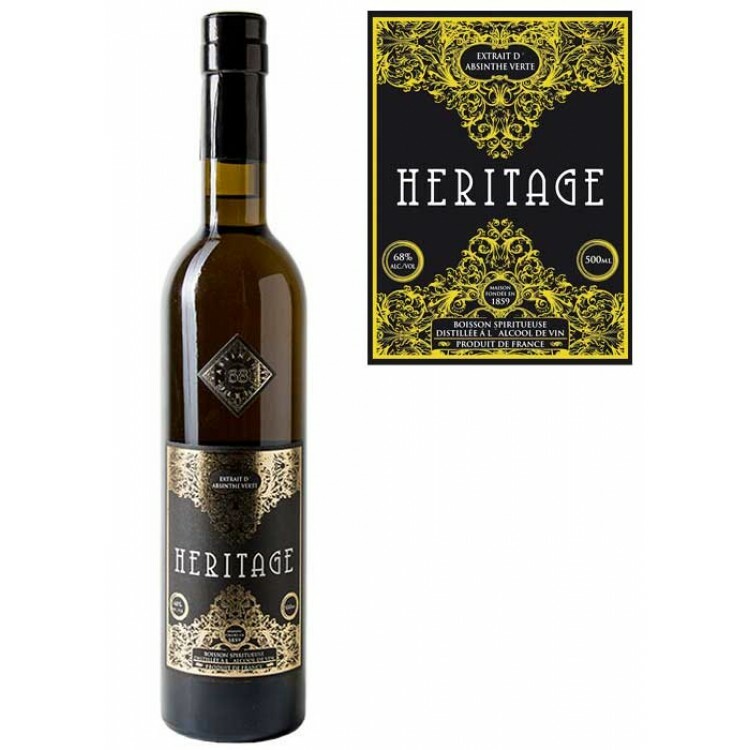 Since Heritage Verte is distilled from wine alcohol instead of grain alcohol, it has a light cognac note in the finish which reminds of preban Absinthe. 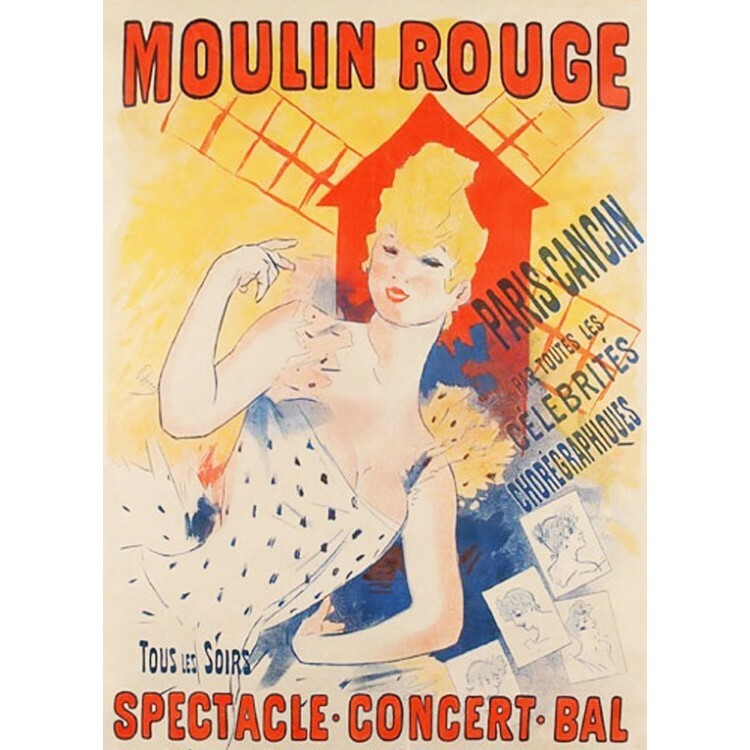 The second Absinthe in the set is Moulin Vert. 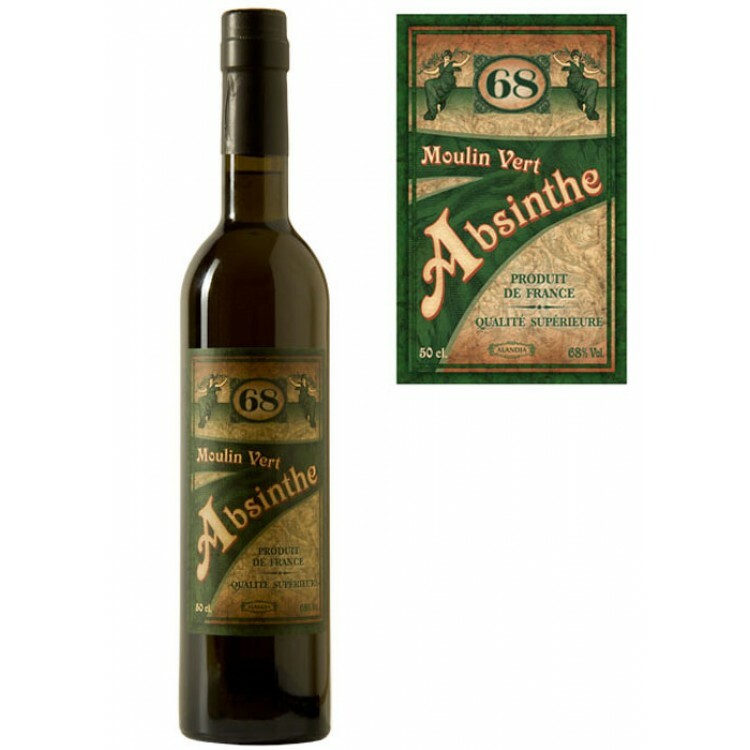 This Absinthe, produced in France, captivates with its dark green (natural) colour. Mixed with ice-cold water, it turns into a particularly dense white, which indicates the quality of herbs used in the distillation. Prepared with water and sugar, Moulin Vert unfolds its full aroma. Traditionally, it tastes of aniseed and wormwood, with notes of cognac and dark chocolate. 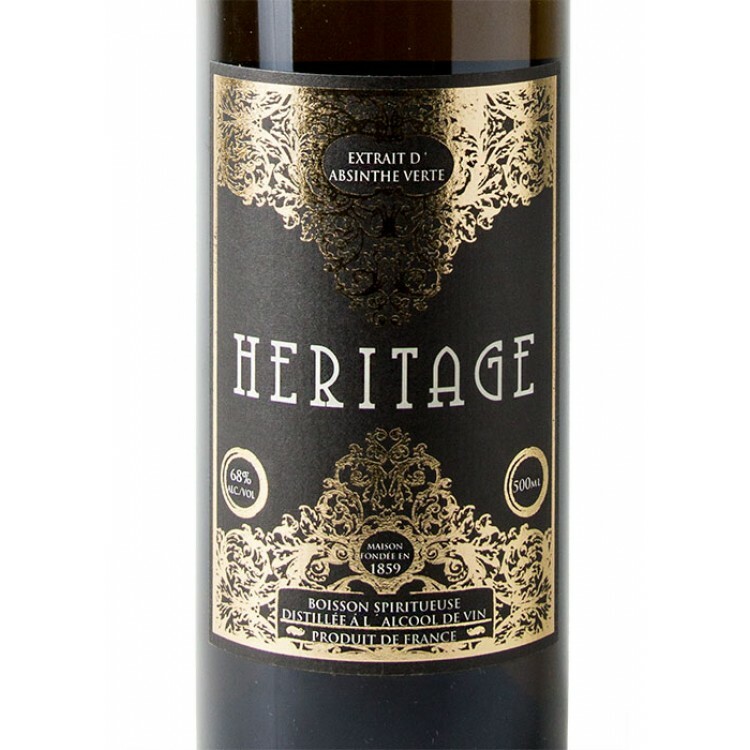 As with Heritage Verte, this is due to the wine alcohol base used for distillation. Compared to Heritage Verte, however, Moulin Vert is more complex and mature in taste. All in all, this Absinthe set gives you a particularly exclusive and authentic insight into the world of Absinthe. In the following video you can see how you serve Absinthe the traditional French way. You need an Absinthe glass, an Absinthe spoon, sugar cubes and ice cold water for this traditional ritual. This is how it works: You place the Absinthe spoon on the rim of the glass, put a sugar cube on top and slowly add water. The Absinthe in the glass blends with water and magically louches from green to an opalescent white color. You can buy all these accessories as well here at our store..
My head was swimming but my taste buds were not i really didn\'t like the taste of this one not for me and yes delivery time to the UK was really fast only 4 days. This was the first order I purchased from Alandia. A very good selection of 3 different varieties. Shipping to the US was very fast and secure. Not only that, but an error in shipping was dealt with in a prompt and courteous manner. I recommend this product and company to anyone. Cheers! As a package this is a very good set for the begining or experienced absinthe drinker. It may not contain the number 1 top rated and reviewd bottles in the world, but for its price it contains a wide range of different absinthe tradtions, smells, and tastes. I will review each bottle in depth individualy. Overall the service and this package receives 5/5. Although I am not a huge fan of la bleue's the clandestine is by far one of the smoothest and well crafted absinthes I've ever tasted. just got the order, 4 business days after ordering, to the U.S. I was very impressed with the entire set. It made it to my door in America in six days! As a first time customer of Alandia, I am most definitely coming back for more! Thanks!! !